We caught up with Diamond Challenge alumna, Raylin Xu, to hear about her latest goals and successes. Raylin’s team won Diamond Challenge 2014, competing on the business innovation track with their concept, Virtual Tutoring Interface for Schools. Now a student at Harvard University, Raylin shares how the Diamond Challenge prepared her for the future and her plans after graduation. How did your Diamond Challenge experience benefit you or impact your future plans? It has been amazing to see how much the Diamond Challenge has grown since we entered into this competition four years ago! Diamond Challenge was a great opportunity to learn about how to work together on a team to come up with an idea and turn it into a reality. Our project, which focused on improving tutoring and mentoring of students in middle and high school, has continued to inspire my interests in education, and throughout college, I have continued to mentor and tutor in the Cambridge region. Learning about the impacts of one-on-one learning and the expense of hiring a tutor, I have focused most of my energy toward working with underserved populations and those who may not be able to afford expensive tutoring agencies. 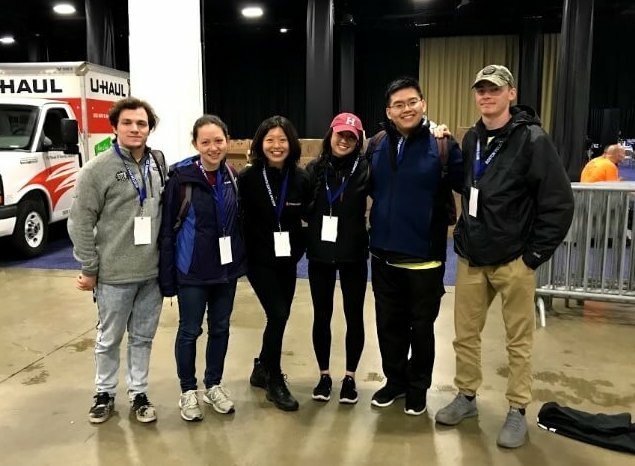 Two of the most rewarding experiences I have had have been working with youth in the Allston area in a computer club and working with Chinese immigrants who are preparing for the US citizenship exam. What does your future look like? What are your future goals and plans? I am currently applying to medical school with the hope of eventually working in academic medicine. Although I am not sure which specialty I will pursue, I am interested in various surgical fields as well as global health and health policy related areas. No matter where our Diamond Challenge alumni go, we are constantly amazed by how they continue to make an impact on the world for the better. Would you like to be featured in our next highlight? Click here. Follow Horn Entrepreneurship @udhorn and check out our entrepreneurship competition for high school students @diamondchalleng.